Finally home after his astounding journey, Mortimer resumes his simple life and peruses the daily newspaper. One by one, famous artifacts from museums and private collections around the world are missing. The person claiming responsibility for the thefts goes by the moniker - the Crimson Thief, a ghost that the police can do nothing about. Mortimer however, jumps on the case and is determined to find the stolen goods while bringing the thief to justice. Follow Mortimer around the world in this exciting adventure. Visit Paris, Rio, London, and more in search of stolen artifacts. Search for useful items to solve whimsical puzzles. 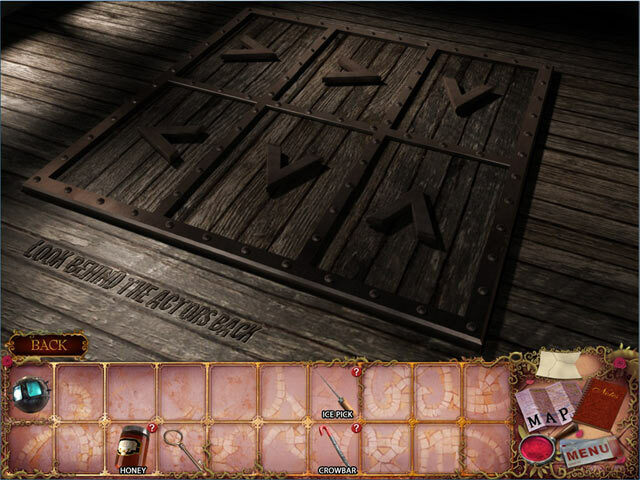 Play amusing mini-games to foil the Crimson Thief. 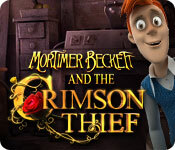 Mortimer Beckett and the Crimson Thief is rated 4.0 out of 5 by 21. Rated 5 out of 5 by cheechee1 from Just AMAZING game! I can honestly say I play HOPs games with a passion. This game is BY FAR one of the best games I have EVER played, bar none! It's very confusing at first, BUT, you HAVE to get the walkthrough and follow it faithfully, if not, if you miss ONE piece, you have to start all over....but it IS very much worth it. Well worth the money and time!!!! Rated 5 out of 5 by CameoLove from Two Thumbs Up! I love this series. Very different the usual adventure games. I am ready for more! Rated 5 out of 5 by SaraBlue72 from Favorite New Style if you want something different! If you play as many hidden object games as I, it feels as if you've played every game. Well this is something fresh and new. I loved it immediately and bought the other games in the series. Now I'm trying to find other games by the game creator hoping they will be the same. Also feels similar to City of Fools. Rated 5 out of 5 by upsysydaisy from Made My Brain Hurt !! Mortimer Beckett presents a very challenging experience. 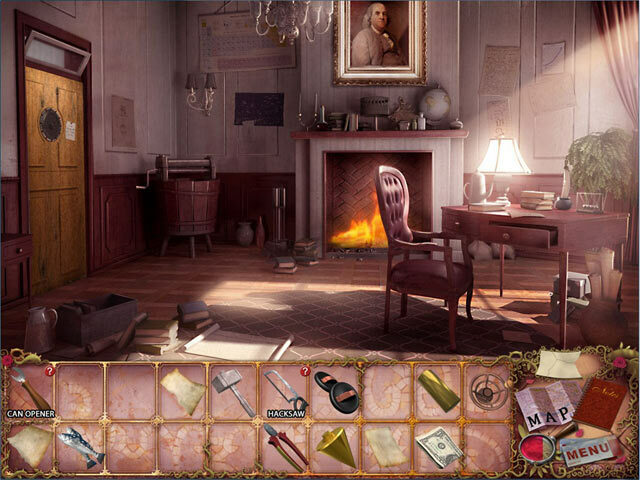 The game looks sweet and innocent on the surface, but I fell for it and went along with Mortimer on his detective quest. We went from place to place collecting objects and clues that were so well hidden, they may as well have been on another planet. It was a long, tedious trip through this game, but I hung in there! Finally, I caught on and the game turned into lots of fun and gave me a great sense of accomplishment ! It was mostly a silly detective game, I am referring to all the traveling and menial tasks required to get to the goal. The very hardest part of the game, for me, was in the auto repair shop. I spent so much time stuck there, my hair was turning grey and old-age was setting in. Finally, when my light bulb came on I was so mentally drained, that I couldn't jump up and do my Happy Dance (LOL). Well, I ended up really enjoying my relationship with Mortimer Beckett and bought the other games in the series. Have not played them yet, so cannot give you an opinion that may or may not save you from self-destruct. I ultimately found that this is a wonderful game for those of us who love a great challenge and are accustomed to the frustration that goes along with it. That is the fun for us "crazy" gamers. Hope you enjoy as I did ! Rated 5 out of 5 by Kay_Erin from Aha! I, Mortimer Beckett will outwit you, foul villain! A great Adventure/HOS game, with some new twists. You go around the world, stopping in various ports to find the missing art items. In each place you must also find the pieces of your ticket to leave for the next stop. The different cities were well done and interesting, not the usual same old/same old. This is not for those who do these games for the puzzles. It does have a few, but this is a ADV/HOG and that is it. A solid exercise in clue hunting, and if you get stuck the hint button was fairly quick. I didn't need it much, but I DID need it a couple of times:) Having said this, the puzzles were varied and went from shooter type, matching doubles, puzzles, etc, and they didn't repeat! It felt better put together than the 2 previous games, although I remember them as good too. One of the best things is that the music was good. I've noticed a couple of games lately where they are finally listening to us and making the music less distracting and more appropriate for the subject, and the level is more cinematic. Rated 5 out of 5 by insywinsy from The wait is over! I played these games years ago on Yahoo and loved them. Have been waiting since joining BFG for them to appear. I even put in a request. I have now bought all four games at once and couldn't be more pleased. They are not the easiest HOS but they make you think and use reason. There is actually a sense of satisfaction when you finish one. I am now playing The Crison Thief, which is the most difficult, and thoroughly enjoying it despitepulling my hair out. Rated 5 out of 5 by forrestvale from LOVE THIS SERIES I don't usually submit reviews, but when I saw this series come up on BF I almost jumped out of my seat with joy. I absolutely love this series and wish the creators were able to do more of them. It may not be for everyone, but I found them to be most enjoyable, and once I started playing, I couldn't stop till the game was complete. Try them, you too may find them a lot of fun. Rated 5 out of 5 by pacificsunset from Challenging and fun! I loved this game, wished more were this challenging. Maybe Mortimer's next location could be Australia? Look forward to the next one! Rated 5 out of 5 by spellacat from Mortimer Beckett and the Crimson thief Best game ever. Love every part of it , just not compatible with this tablet or Windows 8.1 or 10, not happy with Microsoft Windows 10 compatibility center. Rated 5 out of 5 by Daone1943 from Love this series I was glad to see that BFG offers this series. I have had these games for a few years now and still enjoy playing them again from time to time. This series along with the MCF series was what got me hooked on HOS. I especially enjoyed the fragment HOS they came up with. I hope that if any new Mortimer Becketts come out you will also carry them and let us know they are on your website. I have not seen them posted here until I saw this one for a day or two and then when I went to search games to find that you carried all of them. Thanks for all the good games you offer. Who is the Crimson Thief? 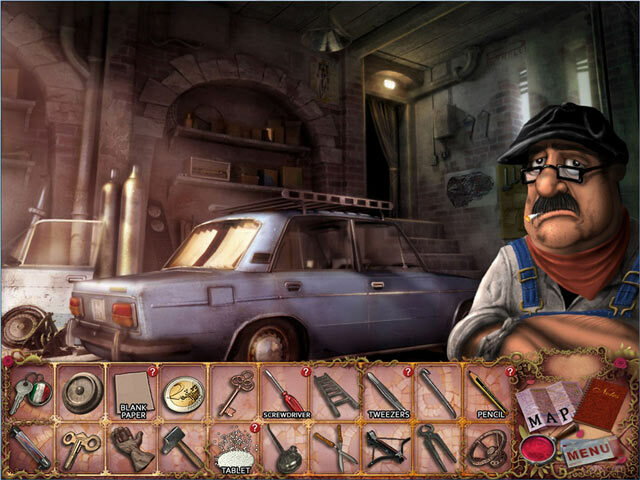 Can Mortimer piece together the clues to finding all the stolen items? There is much more to this new mystery than meets the eye.